Haridwar is one of the holiest places in India, sacred to the Hindus and draws thousands of pilgrims and tourists from all over the world. 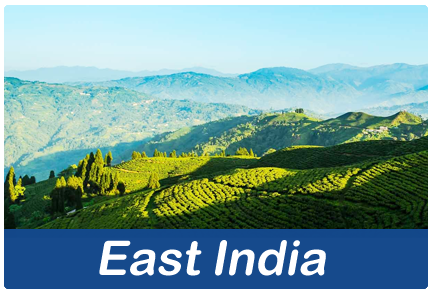 It is the place where the Ganges exits the Himalayan foothills and is worshipped for her purity. 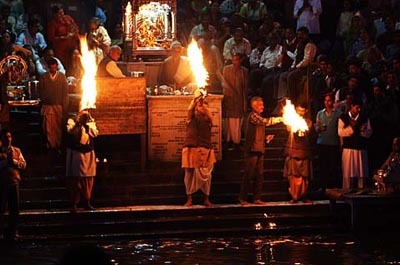 The Hark i Pauri is the most popular bathing ghats which also hosts the Ganga Aarti daily at 6:30 p.m. after sunset. Thousands of pilgrims flock the banks of the Holy river to witness the Aarti and seek the blessings of Mother Ganges. Small lamps lit on leaves are let out to float in the river from the banks, making it a beautiful sight. The Aarti of the Ganges is a delightful experience, a treat for both the eyes and the soul. 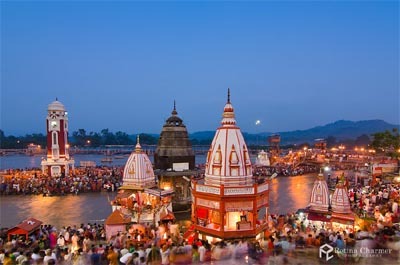 The spot in the Ganges where the ceremony takes place is called the Har – Ki – Pauri. The Ganga Aarti is typically a 40 minute ceremony which begins at approximately 6:30 p.m. everyday. Thousands of pilgrims throng the banks of the holy Ganga to witness and participate in this unique and beautiful ceremony that has a religious fervor to it. It is estimated that on any given day, an average of around 60,000 pilgrims and devotees are present for the ceremony. The Holy Ganges is considered to be auspicious and is revered for her Purity. A mere dip in the holy river is said to wash off the sins of the individual and to cleanse the soul. The river has been worshipped since ages as per the Hindu tradition and thousands of devotees pay their respects to the river. The Aarti begins with a group of priests getting ready to recite the mantras. They set the background initially by explaining the significance of the ceremony and highlighting how the river is worship worthy. The life lessons around karma that one can draw from the flowing Ganges are also explained. After around 15 minutes of explanation the Aarti begins with the mantras being recited in Sanskrit and the beautiful bhajans that are truly heart warming play in the background along with the sound of bells, the diyas whose flames color the river waters a bright shining golden.The entire sight is awe- inspiring for the spectator who is overwhelmed by the strong vibes and feel of the place. The atmosphere is charged with a religious fervor and is very colorful and alive. 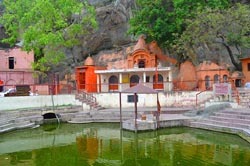 Numerous Babas and Sadhus claiming to have acquired supernatural powers are seen seated along the banks in the different ghats and participate in the Aarti. 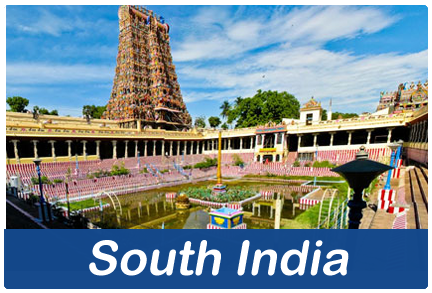 There are speccial seating places for the temple priests and major donors. The entire Aarti is managed and sponsored by the temple trust who manage and oversee the day to day activities and invite devotees and pilgrims to donate generously. Men clad in blue who are appointed by the trust go around during the ceremony offering receipts to the donors and acknowledging their contributions to support the Aarti. Small diyas made up of dried leaves with a wick and matchbox and incese sticks are available for sale, which are lit up by the devotees, onlookers and pilgrims and floated in the river. As soon as the Aarti concludes the river transforms into a beautiful sight complete with floating diyas and lights all over. 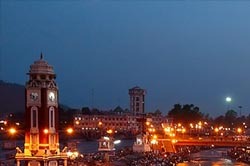 The Har Ki Pauri is the most famous ghat on the banks of the Ganges at Haridwar. This is the ghat that witnesses the daily Aarti ritual and that welcomes crowds who flock the banks for the Aarti. The Hark i Pauriis also known as Brahmakund and mythology suggests that Lord Shiva and lord Vishnu had visited this place during the Vedic times. A temple is built around a large foot mark which is believed to be the imprints of Lord Vishnu.Budget and Luxury hotels are located near the Hark i Pauri to house all types of visitors and guests who visit Haridwar. 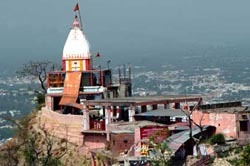 A standout amongst the most visited temples in Haridwar, Mansa Devi Mandiris situated on top of the Shivalik slopes. 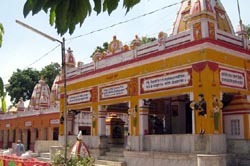 This temple is devoted to Goddess Mansa Devi, accepted to satisfy the wishes of the individuals who visit here. 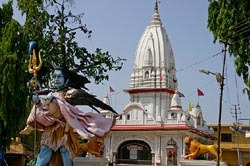 It is a convention with the lovers tie sacred strings around the tree that stands inside the premises of the Mansa Devi shrine. From the shrine, one can catch beautiful glimpses of the Haridwar town. Alongside the Chandi Devi and the Maya Devi shrines, Mansa Devi temple completes the Siddhapeeth Triangle. The Chandi Devi temple is situated on the peak of the Neel parvat and is a 45 minute trek uphill. 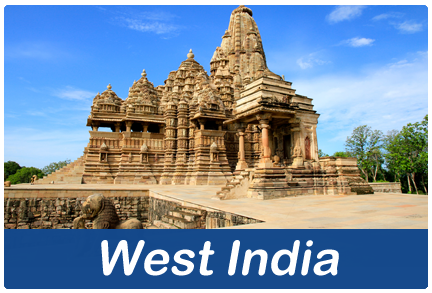 The temple is supposed to be the resting place of Goddess Chandi Devi and was constructed in her remembrance. 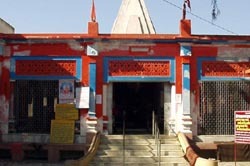 This temple is located towards the south of the Kankhal town in Haridwar which is built up by Rani Dhankaur in AD 1810, the DakshaMahadev Temple is the site where Daksha performed a yagna (a Hindu custom to conjure divine beings and look for their gifts). In the Hindu mythology, DakshaPrajapati is the father of Sati, the life partner of Lord Shiva. The sanctuary is only a couple of minutes drive from the railway station. The ashram is both ancient and much prominent. The words Sapt Rishi is a mix of sapt (seven) and rishi (sage). As per the Hindu conventions, it is the spot where the holy Ganga parts herself in seven streams to keep any aggravation to the seven sages (Kashyapa, Vashisht, Atri, Vishwamitra, Jamadagi, Bharadwaja and Gautam) who were profoundly caught up in reflection. A 5 km drive from HarkiPauri takes you to the Sapt Rishi Ashram. 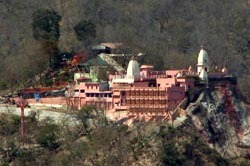 Devoted to goddess Maya Devi, the sanctuary is a noteworthy fascination for all guests to Haridwar. The temple is considered one of the shaktipithas in India. As per the Hindu mythology, it is the spot where the heart and navel of goddess Sati tumbled down, while Lord Shiva was conveying her smoldered body. Various celebrations are held at the Maya Devi sanctuary in keeping with the traditions and customs. Haridwar is a fortune trove of consecrated tanks. One of these fanciful tanks (Kund in Hindi) is the Bhimgoda Tank. The sacred tank gets it name from Bhima, an incredible character of the Hindu epic Mahabharat and the second of the five Pandava siblings. 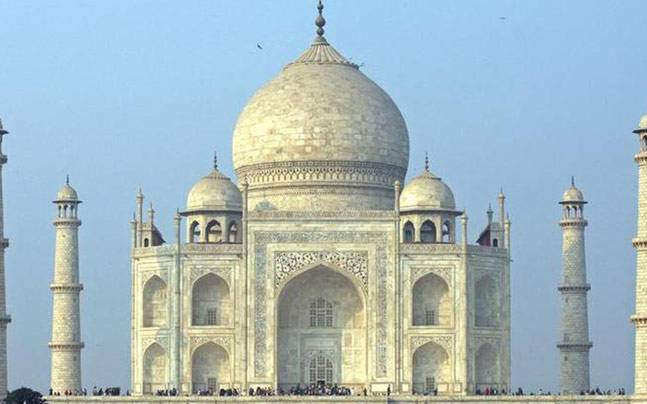 The perfect sacredness of the site pulls in swarms of lovers from the whole way across India and the world. Found exactly at 300 m from HarkiPauri in Haridwar, the Bhimgoda Tank breathes life into the wonderful scenes of the Hindu epic Mahabharata. Legends has it that the sacrosanct tank started to be when Bhim, one of the five Pandava siblings, hit his knee (Goda in Hindi) against the ground. It happened when the Pandavas were en route to the Himalayas through Haridwar. At the point when Bhima felt the requirement for water, he thrusted his knee against the stones and out flew surges of water. The water of the Ganges streams into this tank. Assembled here is additionally a trench that goes astray the water of the Ganges into the Bhimgoda Headworks. Explorers additionally like to see the dam developed here, beside eye getting trenches and wellsprings. The dam at Bhimgoda Tank is a compositional accomplishment of the current.